The best way to see Frank Entsminger’s wildlife sculptures are up close and in person. 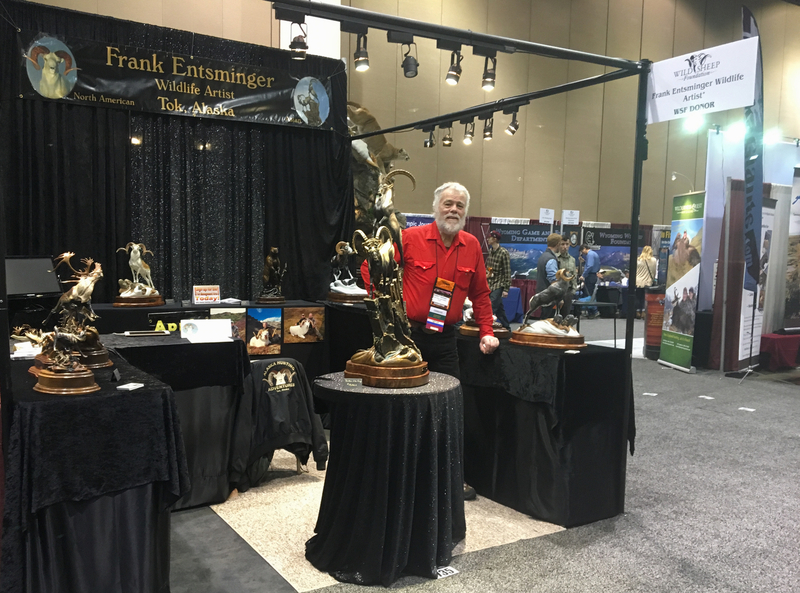 Come to a show and meet Frank, and see the detail of his Alaskan wildlife bronze sculptures. The detail in Frank’s work truly must be seen to be appreciated. 906 W. Northern Lights Blvd. Charlie is a admirer of Frank’s work. He displays much of it in his showroom near North Pole, Alaska. Call! Charlie’s shop and gallery is near Laurance Road outside of North Pole, Alaska. Intersection Tok past the Civic Center on the left. Frank’s bronze art is exhibited upstairs in the shop. Nice display in the downstairs of the shop of a lifesize sheep and two wolves Frank did the taxidermy.